Dad’s Day Out – a secret location has been on the calendar for a while. There has been a fair degree of speculation as to what it was but today all was revealed! And it didn’t disappoint! Aonghas, in his own words, was so overwhelmed that he “got quite emotional and even cried” when he heard his favourite song being played. 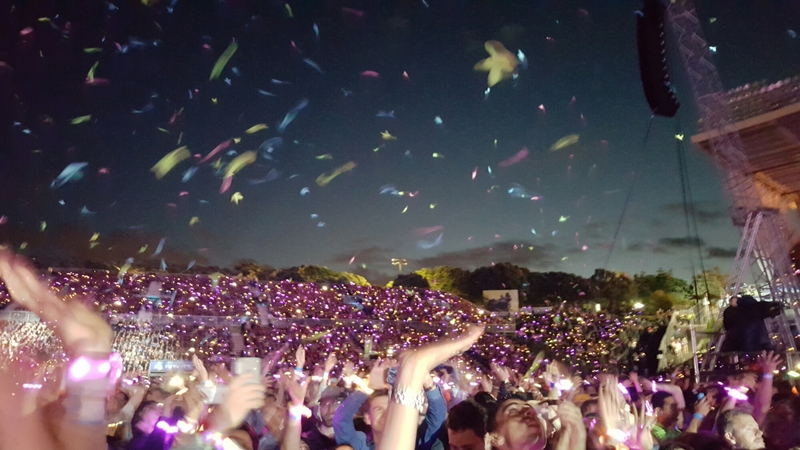 The Coldplay concert at Mount Smart stadium was incredible. A real multi-sensory experience with a great atmosphere. I got a few good photos but this one has to be the pick since it has now gathered over a thousand likes and several hundred retweets!